I love the Monaco GP. It was the race that turned me on to F1 way back in the early sixties and it remains the most charismatic, atmospheric and awe-inspiring motor race of them all. Forget all the nonsense spoken about it being impossible to race there - Monaco always produces one of the most intense GPs of the year, with or without overtaking. In fact, it demonstrates most effectively that racing is not about overtaking, it is about driving skill. The first practice was at a ridiculous time for me: 4:00am on a Thursday morning. I had left it to chance rather than an alarm clock to get me out of bed and so it was no surprise that I just missed those first few empty minutes when the cars are only doing installation laps. The first real action I saw was Buemi's flyer in the Toro Rosso to set an early target for the others. It looked impossibly fast and for a while I wondered whether STR had found some special tweaks since Barcelona. Then the others started trying and Buemi's magic lap disappeared into history. But he had brought me so abruptly into the different mindset required for watching F1 cars at Monaco. Suddenly we can forget the pecking order established in previous races and must take note of other things than the performance of the cars; if there is anywhere where the skill of a talented driver can make a difference, it is at Monaco. And so it proved to be. In the comments to my article on the Spanish GP, I had warned that Hamilton would be a factor in Monaco in spite of McLaren's terrible performance in Barcelona. And Lewis did not let me down, setting the pace for much of the time in both sessions and winding up third fastest in P1, second fastest in P2. The man is at his best on this circuit where his precision counts more than anywhere else. That is not to take anything away from Barrichello who was quickest in P1 and a factor in both sessions, nor from Rosberg with his customary fastest time in P2. They were both impressive but doing what we have come to expect from them this season. It was Felipe Massa who matched Hamilton's performance in a less fancied car. He was second in the first session and then fifth later but his fire and determination at the limit was a pleasure to behold. The Ferrari slid and twitched but Flipper had its measure, forcing it into lap times it did not deserve. Everyone expected the Red Bull RB5 to be rather special with its new diffuser but it slipped from the front on this circuit. The car had problems in the first session and did not really impress in the second, only Vettel managing to salvage respectability with sixth fastest in P2. It will be good in Istanbul, no doubt, but here it is not really in contention for a win. That honor is most likely to go to Hamilton, Barrichello, Button or Massa. On form so far, they are the drivers who have mastered their cars and the circuit and Button is included only thanks to his habit of saving the best until last. Kovalainen and Raikkonen were quick but lacked the spark of their team mates, Rosberg will probably fade in qualifying with too much fuel on board. 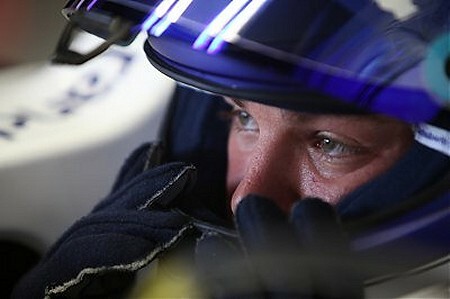 Which leaves Alonso as the dark horse again. His quick lap at the end of P2 was spoiled by traffic and he is bound to spring a surprise in qualifying. Like him or loathe him, Fernando can drive and it will show here. The disappointments of practice were Toyota and BMW. Both teams had upgrades that seemed to make little difference and they slumped to the tail end of the times with the STRs and Force Indias. An enormous engine blow up from Kubica's car in P2 did not help but it was clear that BMW are not over their troubles yet. And Toyota must be wondering where their speed went. Ah well, they can look forward to the Turkish race, I suppose. I had the feeling in the second session that the drivers and teams had cast aside the testing aspect and were going for times only. Certainly, the last few minutes saw almost everyone come out and throw caution to the wind. If that is so, I think we have a pretty good guide to the final grid, regardless of what happens in P3. It may be just beyond the capability of the car, but I'm going for Hamilton for pole and the race. If you just swapped the Brawns and the BMWs, you could almost believe it was 2008 again with that order. Here's hoping for Hamilton on pole. Or - unusually -even a Ferrari, just to shut Eddie Jordan up. I'm not sure I'd describe the Ferrari as less fancied than the McLaren, but Massa certainly impressed me more today than he ever has in the past. Good point about Brawn and BMW, Mr Soap. Perhaps Dr Theissen should send a note down the pit lane to Ross, asking for his ball back! I feared that my wording in the paragraph about Massa might be taken amiss but felt I could always explain. I meant that Massa was like Hamilton in being in a car that was less fancied than the Brawns and Red Bulls, not that the Ferrari is less fancied than the McLaren. In fact, I think the Ferrari is the better car at the moment but it is Massa who is getting the best from it. Maybe there is something to this double diffuser after all. The Toyota's seem to be suffering from NO mechanical grip yet on higher speed courses, they do much better. How can one explain going from the top 8 or so to dead last at Monaco? Toyota have never really done well at Monico. Ferrari, Brawn, Mclaren and Renault have tuns of experiance on this track so finding a fitting setup is easier for them compared to the newer guys like Toyota. In my opinion F1 drivers need a set of skills, Overtaking, Defending Set-Up and driving accuracy. When Hamilton came into F1 I thought he looked a great driver (especially with his earlier success) and in the first few races he proved he had the overtaking and defending nailed but I was waiting for Monaco to see if he had the precision. I was not dissapointed as I watched him thread the car through the tight course, sliding within millimeters of the barriers, proving he did not just have good precision , but stunning precision. He still needs to work on set-up (an area I think Alonso is better in) but he seems to be improving in this area all the time and experience is key. I know it is hard to compare drivers from different times but in my opinion when it comes to raw talent Hamilton is up there with the greats. Aracer: I'm sure the double diffuser makes a lot of difference to the Toyota's downforce - as you say, their performance at Monaco is surely evidence of that. It does not seem to matter so much to the Brawns and Williams however, which makes me think they are just better all-round designs than the Toyota. Rob: Thank you. Good point about Toyota never being very good at Monaco. I guess they just don't build the kind of car necessary for its tight corners and short straights.